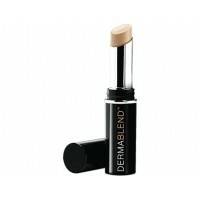 Very high coverage, long lasting corrector stick for medium to severe skin imperfections, such as spots, acne marks, dark circles, scars, rosacea, tattoos or hyperpigmentation. New & improved Dermablend Corrector Stick - Same formula and exceptional results but now with a new elegant design and applicator tip for easier use and targeted application! See our shade guide to help you find the right new shade for you. 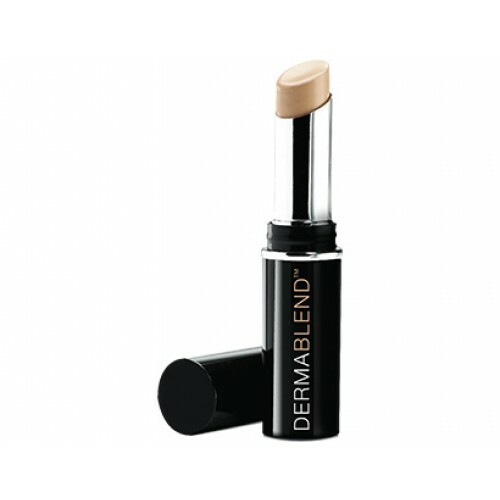 Dermablend Corrective Stick provides very high coverage to conceal moderate to severe skin imperfections with an even and natural looking result that lasts up to 14 hours*. It is easy to apply and provides a buildable coverage with a comfortable and lightweight finish. There is no mask like effect & the complexion is left looking radiant. The product hydrates the skin and protects against UV rays with SPF30. What’s more, it is water, perspiration, and rub-resistant. 1. Dab the stick onto the zone to correct directly, using light touches and without pressing the stick too hard. 2. Pat and spread the edges with your fingertips to blend the formula into your skin. 3. Depending of the imperfection you wish to conceal, apply several layers of the localised corrector. The texture is perfectly malleable and ultra-easy to blend into the skin. Provides optimal comfort, with no mask effect.